LONDON – Preen: The models in the Preen by Thornton Bregazzi show looked as if they’d been rifling through a glamorous dressing-up box in this collection that piled on plaids, sequins, rich floral jacquards, fur and crushed velvet — to covetable effect. Designers Justin Thornton and Thea Bregazzi said backstage they’d taken the idea of a “poetry groupie” as their muse. “She’s a bit like a rock-star groupie, but she’s obsessed with poetry and Edith Sitwell is her heroine,” said Thornton. 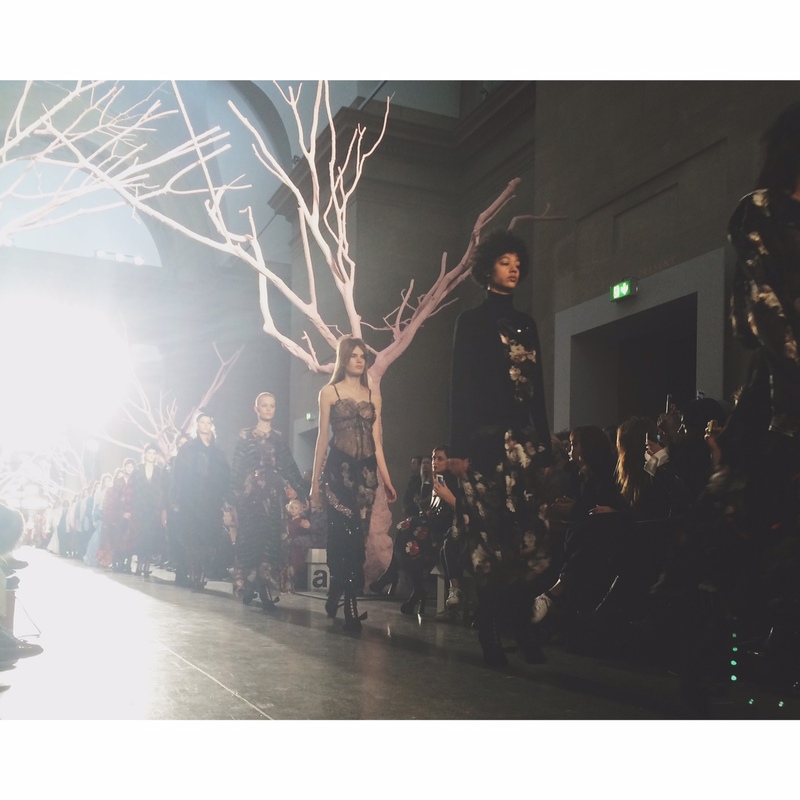 This entry was posted in LFW, Trend Reports and tagged aw16, LFW, london fashion week, PREEN. Bookmark the permalink.